Our prices, whilst based on breed type , can vary considerably due to size of dog, behaviour, size, coat type, length and condition. Therefore we prefer to ask potential customers to give us a ring so we can discuss their individual dogs needs and requirements. 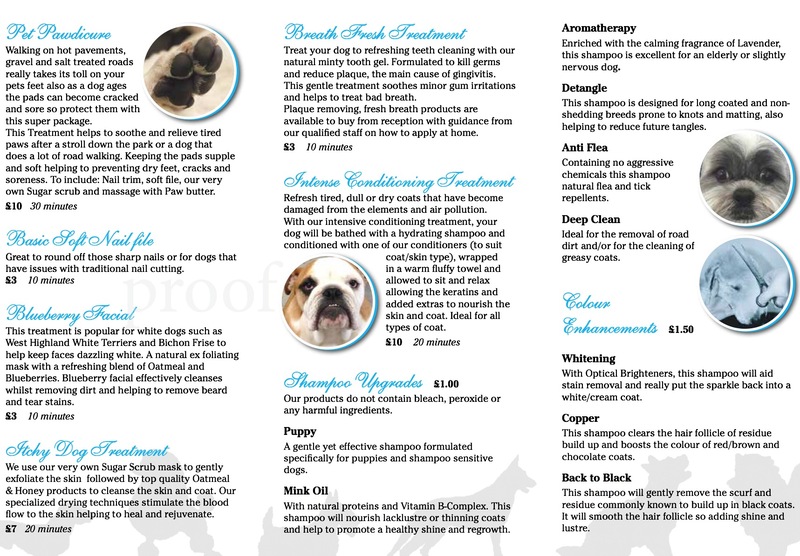 This enables us to give a more realistic and comprehensive price for the style and Spa Treatments that would best suit their dog.